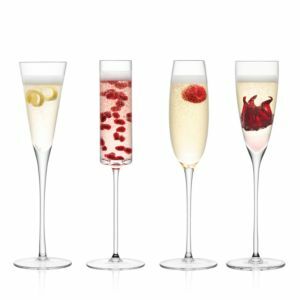 Champagne toasting flutes and coolers from fine French crystal to casual chiic. 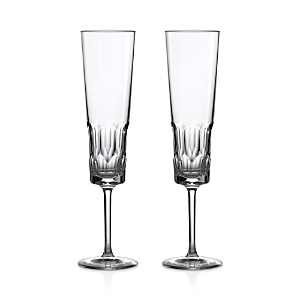 The perfect toasting flutes and Champagne coolers for that special celebration. Mouth-blown; handmade. Elegantly gift-boxed. Glass Glass champagne flutes. Set of four. Holds 9 ounces each. Crafted in the tradition of classic French wine glasses with petite stems, our Chateau Collection brings Old World charm to the dinner table or home bar assortment. 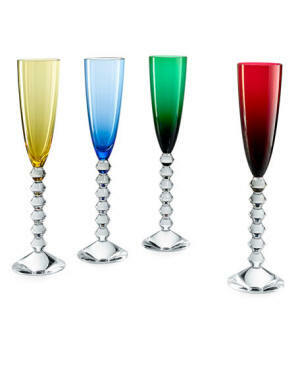 The shapely stem and base of these flutes beautifully complement the simplified bowl for sipping your favorite sparkly. 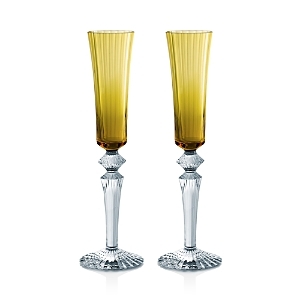 Made by the oldest glass factory in Europe, la Rochere, Napoleonic Bee champagne glasses feature exceptionally clear and heavy glass produced in turn-of-the-century molds with traditional seams. A charming bee motif recalls Napoleon's coronation luggage Clear crystal flute engraved with springtime creatures. 8.75"T; holds 4 ounces. Clear crystal flute. Relax at the end of a long day, and enjoy the glasses in this set. The glass lets you easily see the content level of your favorite beverage, and comes in a set of four, which is ideal for intimate gatherings. Glass stemless champagne flutes. Set of four. Holds 9 ounces each. Relax at the end of a long day, and enjoy the glasses in this set. 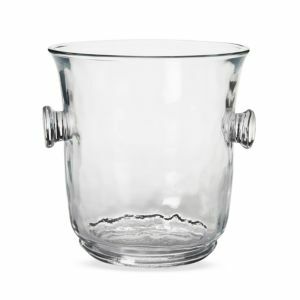 The glass lets you easily see the content level of your favorite beverage, and comes in a set of four, which is ideal for intimate gatherings. The perfect gift! 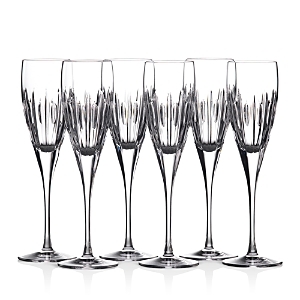 These extraordinary flutes have textured stems for added charm. Clear crystal from Lalique. France A collaboration between Lalique and James Suckling, these handmade flutes exemplify the established tradition and style of Lalique but embrace a modern design and precise utility. 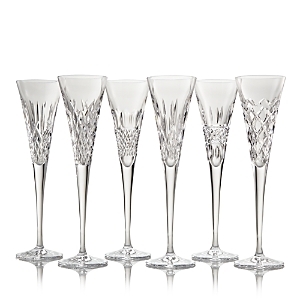 These exquisite glasses display a unique style through the frosted crystal ribs engraved on their stems. 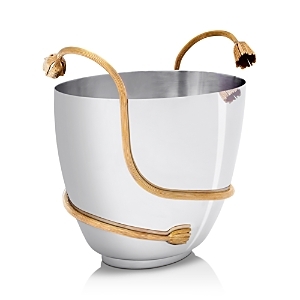 Enjoy your drinks cool by the pool or at a perfect dinner with this champagne bucket from Magisso. Stainless steel beverage cooler. Approximately 8"Dia. x 8.25"T. Dishwasher safe. Made in France. 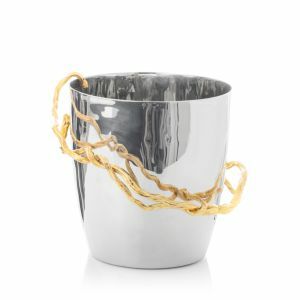 Silver-plated champagne cooler. Designed by Andree Putman. Champagne is one of the most enjoyable travel destinations in France. Troyes, the capital, has something for everyone. A Medieval city, the cobblestone streets take you past 9 churches dating from the 12th-19th centuries featuring stained glass and Gothic art, and half-timbered buildings. At the other extreme, The Museum of Modern Art with Fauvist paintings. The route from Épernay to Reims takes you through the Regional Nature Park. Start in Épernay with a visit to Champagne de Castellane. There is an interesting museum of the entire process, plus 6 miles of caves. The view from the tower puts Épernay and the area vineyards at your feet. Reims is not only an important Champagne producing center but also the location of the Gothic Notre-Dame Cathedral, site for the coronation of over 30 kings of France. 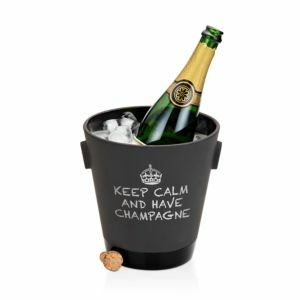 Blanc de Blanc from Chardonnay is lighter in flavor, Blanc de Noirs from Pinot Noir and/or Pinot Meunier and are fuller bodied, Rosé gets its pink color and flavor from juice contact with the skins. Landing: time Champagne has been in the country. Caves: underground cellar for aging. Methode Champenoise/Methode Traditionelle: fermented in the bottle (vs. less expensive tank fermented charmat). Pressing: Several, gradual pressings achieve different characteristics as soon as grapes are harvested. First fermentation: Juice becomes wine. The wine is then cold stabilized, filtered and bottled. Liqueur de tirage/Dosage (wine sweetened with yeast) is added. Second Fermentation: sugars produce tiny bubbles. Remuage: "riddling"--bottles are held at a sharp angle and periodically shaken. Sediment settles to the cork. Dégorgement: removes sediment while keeping the wine in the bottle. Dosing: Liqueur d'expédition (sugar and Champagne) added at time of disgorging to increase sweetness until the desired type of wine is achieved. Wine is then corked. Serve cool. Place in bucket with water and ice for 15 to 20 minutes (the younger, the cooler). To open, loosen the wire, hold the cork, incline the bottle, twist holding by the base. 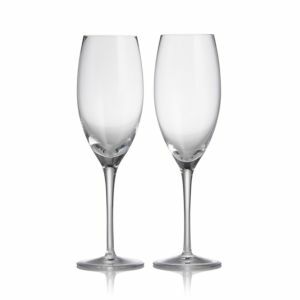 Champagne flutes gather the flavors and allow the bubbles to rise smoothly. Enjoy the color and dancing bubbles, the "necklace of pearls" at the surface. Taste it. Roll it in your mouth to enjoy all the sensations.